Atlantic-crossing rockers from the Rolling Stones to U2 have turned their love for America and its musical heritage into some of rock's most storied songs. While British expats Minibar have yet to scale the lofty heights of those artists' greatest achievements, frontman Simon Petty and his mates show plenty of promise. On their second release, the independently released Fly Below the Radar, Minibar travel across the tumbleweed-strewn byways and watercolor-painted vistas of the western United States, paying homage to musical heroes like Neil Young, Gram Parsons, Buck Owens and others. Through eleven songs recorded over two years with a slate of producers, including Rami Jaffe and Greg Richling from the Wallflowers, Minibar make California's mythical, dreamlike promise real. The album is a marked shift from the band's slick, T-Bone Burnett-produced debut, 2001's Road Movies. "The first record was a big-budget project made with Universal money, over ten weeks," says Petty by phone from Los Angeles, where he has lived since the recording of Movies . "Fly Below was recorded over two years or so. Studios, garages, our front room, different equipment, different times--we had to be careful to preserve consistency." The songs, from "Unstoppable" to "Badlands" unfold laconically, Petty's smoky voice revealing no trace of his British heritage as he sings about love, introspection, the pursuit of happiness and its frequently less-than-perfect consequences. The subtle road-trip rhythms of "New Mexico" play nicely against the can't-go-back-again wistfulness of "Snake Buckle Belt." "There's a questioning theme to the whole of the record," Petty says. "It's questioning, 'Where am I, and why, and what's good about it?' Obviously there will be moments of regret and sorrow within that--in addition to feeling very privileged and lucky." Petty finds no irony in the fact that his band had to travel halfway around the world to find a modicum of success--success enough at least to pay bills and continue to record music. "Road Movies was essentially an aspirational album," he explains. "Now there are songs based here, the America we've seen on the road and through our experiences." 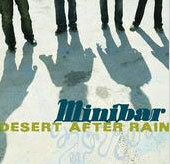 And in the time since Minibar left the U.K., the alt-country movement that was bubbling to the surface in the States through the early Nineties has left a distinctive mark on the British musical landscape. "We were a bit of an anomaly back in 1997 playing in London," Petty says. "But as soon as we left, it became de rigeur to have a pedal steel in your band." The group is lining up select summer dates on both coasts while waiting for the right tour opportunity to avail itself. And Fly Below will soon be released in the U.K., with a homecoming tour hopefully not far behind. "Hopefully we'll be welcomed... with a requisite degree of English suspicion," Petty says. "The consensus about this record is that it isn't packed full of chart-toppers, but if it's something that a few people really treasure--instead of throwing it away after a listen or two--we're happy."